During your stay at Capt. 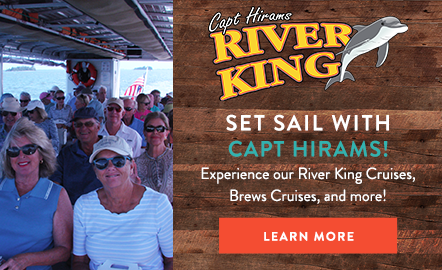 Hiram’s Resort, you are sure to enjoy the incredible beauty of the Indian River. The best way to experience the majestic water and incredible wildlife is Capt. Hiram’s new River King pontoon boat. 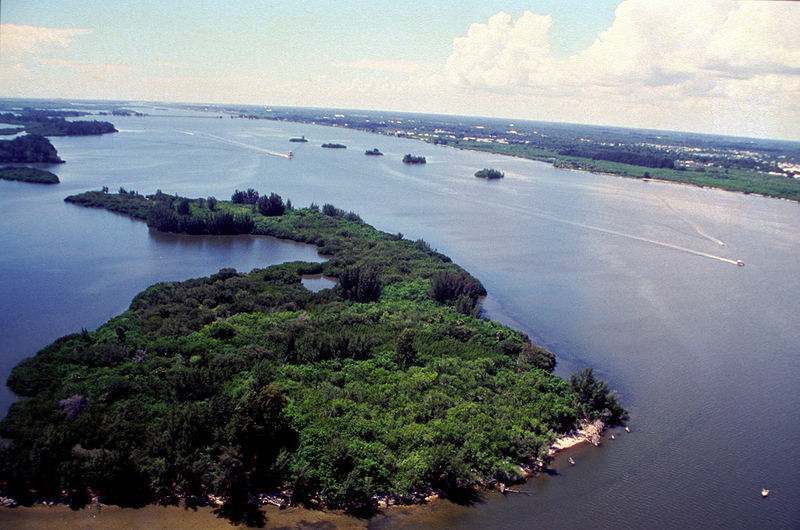 As a passenger on the River King, you will cruise in comfort while seeing manatees, bottlenose dolphins, pelicans, and plenty of other marine life and birds. Your friendly ecology tour guide will be happy to answer any questions you may have about the natural wonders that the Sebastian waterfront has to offer. Whether you go on the morning or afternoon tour, you will inevitably work up quite the appetite. Once you return to Capt. Hiram’s, head over to Blackfins Riverfront Grill for some delicious island inspired cuisine. Some favorites from the menu include Dirty Oysters, Conch Fritters, and the local catch of the day. Or you can sample a little bit of everything during your stay to find your own personal favorite.